joy he goes and sells all that he has and buys that field. Adult: What would you be willing to "sell," or do without, in order to achieve your dreams for yourself or your family? Child: What good thing do you want so much that you would give up something else to get it? What treasures in your life are worth giving up all you have? What would move you to sell all you have to possess something of great value? Two parables today present such behavior. In the first, the finder accidentally stumbles over a treasure hidden in a field, but once he discovers it, he goes and sells everything to buy the field. And he does this with joy. 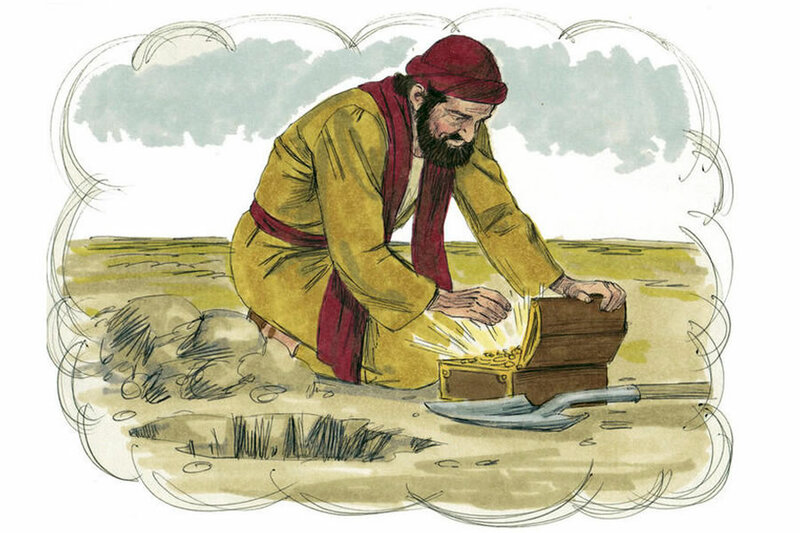 In the second parable, a merchant is deliberately searching for fine pearls and when he comes upon one, he also sells everything to purchase it. What is Jesus saying here? Whether you stumble upon the kingdom of heaven or deliberately seek it out, once you find it, it is worth giving all you have. The kingdom of heaven is Matthew's way of talking about God's presence in life, the gift of God that is God. In the first reading, young King Solomon responds to God's offer—Ask for anything and I will give it—by requesting wisdom, that is, an understanding heart to judge justly and wisely. Wonderful! Paul names another great gift as the call to love God, a gift given to us at Baptism. What treasure do you seek? What gift do you ask God fortoday? 07-30-2017Liturgy CornerFr. Paul Turner © 2001 Resource Publications, Inc. The altar used for Mass is covered with a cloth. At home and in restaurants, we often cover our tables, especially for a banquet or meal of some importance. Similarly, the altar is covered because of “the banquet in which the Body and Blood of the Lord are offered” ( General Instruction of the Roman Missal 304). But the altar is covered for another reason: “out of reverence for the celebration of the memorial of the Lord.” We dignify the altar where we will solemnly remember the mystery of Jesus’ death and resurrection. A “no weeds” approach to life is tempting. When we find an idea, a value, an action, or even a person or group of people that threatens what we think or do, appreciate, or honor, the tendency is to oppose it. Cut down this weed and burn it. 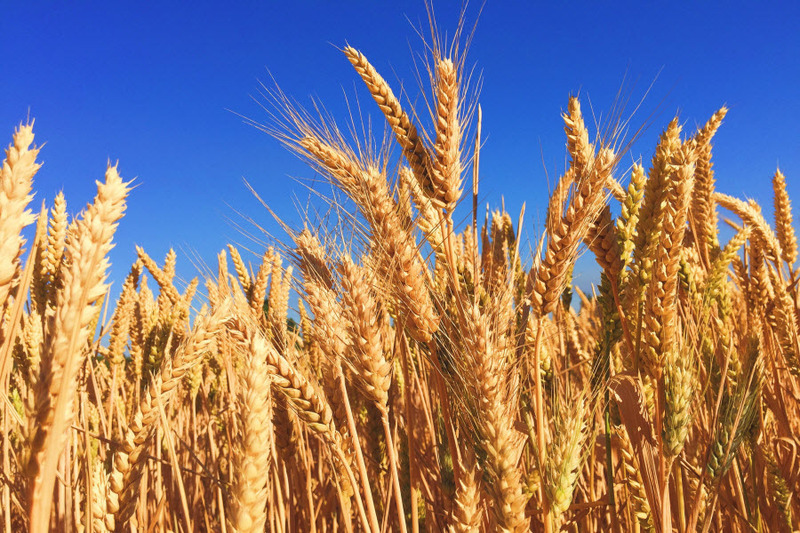 Jesus counters this impulse in today’s parable of the weeds and the wheat. Premature action could lead to destruction of life. So, the wise householder decides to let weeds and wheat grow together until harvest, so the wheat can be saved. This parable mirrors the reading from Wisdom, which speaks of God as one who judges with clemency and governs with leniency, giving people “good ground” in which to grow. Such divine generosity is also exhibited in the parable of the tiny mustard seed that grows into a bush housing all the birds who dwell in its branches, and in the parable of the yeast that signals the penetrating power of God’s mercy. St. Paul writes about the Spirit interceding for us even in our weakness. Overall, today’s scriptures place God firmly on our side, even when destructive powers (“weeds”) threatens to overwhelm us. Adult: What weakness can the power of the Spirit help you overcome? Child: When will you need the help of the Holy Spirit this week? 07-23-2017Liturgy CornerFr. Paul Turner © 2001 Resource Publications, Inc. The letters IHS sometimes appear among the symbols adorning church furnishings. They draw the believer’s attention to Christ and his cross. The letters have two meanings, one in Latin and the other in Greek. According to one early biography of Constantine, the emperor was praying to the false god of his family before an important battle in Rome. He saw a vision: a cross before the sun with the words, “in this sign, conquer.” Constantine ordered the shields of his warriors painted with the cross of Christ. He won the battle and became a Christian. 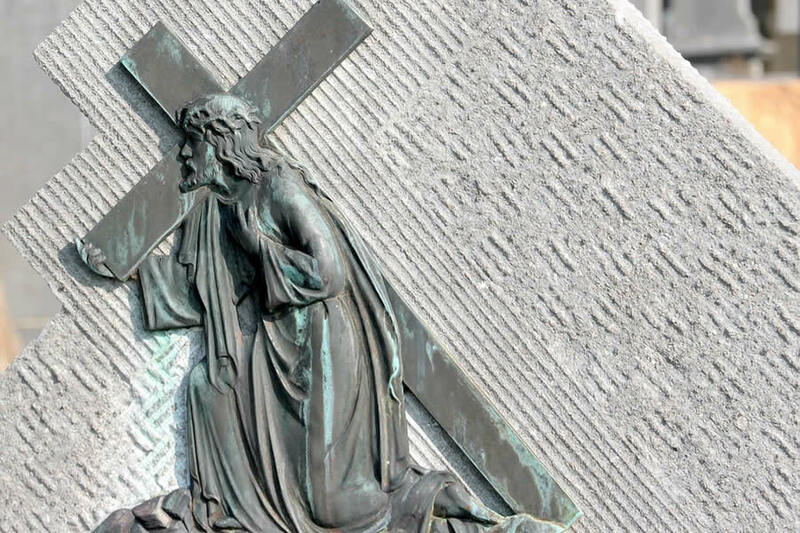 The cross of Christ, to which Constantine attributed his military victory, is the emblem of victory over death for every Christian. The first three of the words in the emperor’s vision are rendered in Latin as “In hoc signo.” The first letter of each produced the monogram IHS, a symbol still used to proclaim the power of the cross of Christ. The Greek and Latin alphabets are different. The capital letters for I are identical. In English this letter may be rendered as an “I” or a “J”, depending on the context. The Latin letter shaped “H” is equivalent to the same English letter, but the Greek letter shaped “H” is equivalent to an E in Latin and English. The Greek letters IHS, then, are read “IES” in Latin or “JES” in English. They are the first three letters of the names of Jesus. These symbolic letters recall the conversion of the emperor who helped spread the Christian faith, as well as the very name of the Son of God. 07-16-2017Liturgy CornerFr. Paul Turner © 2001 Resource Publications, Inc. Many people find it helpful to pray over the Sunday Scripture readings at home before going to church. The practice puts them in touch with the church’s prayer, helps them listen as the readings are proclaimed at Mass, prepares them to hear the homily, engages them personally in the word of God. The Sunday readings are available in many publications and online at www.usccb.org. To prepare the readings at home, get a copy of them or of just the citations and look them up in a Bible. Note: Weekly readings are found on the last full page of the bulletin each week. Create some time and space for this prayer. If you do it alone, remove yourself from other activities. Choose a place where you can center yourself. Open the Scriptures and read over them. God’s word is able to go as deep inside you as you give it time and room. When you get to church, don’t read along while the readings are proclaimed. Lift your head and open your ears and heart to the word of God. 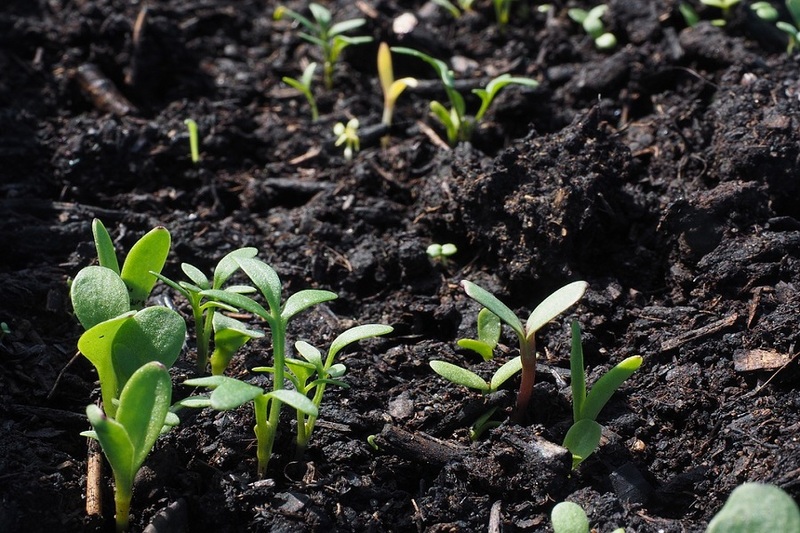 Adult: How do you provide “good soil” for the faith of others to grow? Child: What are you doing to help the seeds of your faith grow each day? For Isaiah, God’s word is like the rain and snow that come down from heaven, making the earth fertile and fruitful. God’s word is both effective and efficacious. For the next three weeks, we hear Jesus the storyteller, sowing parables as seeds that will bear fruit by revealing the mysteries of the kingdom of heaven. A seed is a wonderful symbol of God’s power working through something small, which often seems to be God’s way of doing things. This third great discourse of Jesus in Matthew’s Gospel gathers together stories Jesus told during his ministry. These parables enable the proclamation of God’s ongoing presence and working in our world and our lives. The seed of God’s word continues to fall into the soil of our communities and our individual lives or ends up being choked off by our cares or our indifference. But at other times, God’s word does send down roots and bears fruit beyond all expectation. Through this word, God enters into conversation with us. Which of Jesus’ teachings do you see bearing fruit in yourself? Which needs some effort on your part? In today’s Gospel, notice how Jesus praises God, first as Father, then as Lord of heaven and earth, bringing together intimacy and transcendence. His primary relationship with the One Israel called Lord is captured by the word “Father.” This relationship of Father-Son defined Jesus in a way that takes us into the heart of the mystery of the Trinity. But then Jesus opens his relationship to us: “No one knows the Son except the Father, and no one know the father except the Son and anyone to whom the Son wishes to reveal him” (Matthew 11:27). More wonderful still is Jesus’ revelation to us that Father has revealed “these things” to the little ones rather than the wise and learned. What “things” are these? The truth that the Son is meek and humble of heart, the one foretold by Zechariah as coming not as a warrior but as a peacemaker, bringing peace to the nations, a cause for rejoicing. In a world so often torn by war and violence, Jesus wishes us to put on his yoke, to be guided living in the Spirit of God (Romans 8). Do you ask the Son to reveal the Father to you...daily? Adult: When has Jesus refreshed you when you felt burdened by problems? Child: What burden do you need Jesus to help you carry? 07-03-2017Liturgy CornerFr. Paul Turner © 2001 Resource Publications, Inc.
On the outside, Catholic church buildings look different from one another, but they have many common features. There are no rules governing the exterior appearance of churches. Some look as plain as a storefront. Others look as breath-taking as a cathedral. The appearance of a church exterior depends on the function of spaces inside, the demands of architecture, and the search for beauty. As the art of stained glass developed, it became popular with churches. Images depicted in windows taught people about their religion. The colors made a church interior look beautiful on a sunny day. The overall effect created a sense of awe conducive to prayer. Adult: When have you felt more fully alive by giving of yourself to another? Child: When have you been able to put what someone else needs ahead of what you want for yourself? Have you taken up your Cross? “one-liners” and consider each one separately. Jesus is to be the first love of the missionary. The missionary has to be willing to take up the cross as Jesus did, to give his life for Christ’s sake. On the other hand, those who receive these missionaries receive Christ, and they will be rewarded. We see this happening in the first reading, when the hospitality of the childless woman of Shunem is eventually rewarded by the prophet, who tells her that she will have a son within a year. The reading from Romans shows us the generosity of God when we give ourselves over to dying with Christ in living out our Baptism: If we die with him, we shall live with him. How are you “living for God in Christ Jesus” by participating in the work of a missionary who proclaims Jesus Christ by your life? 07-02-2017Liturgy CornerFr. Paul Turner © 2001 Resource Publications, Inc. Many churches display the papal and national flags. This optional custom began fairly recently in church history. During periods of national crisis, it became popular to post a country's flag inside its churches. When the periods of crisis waned, the flags remained. It probably seemed unpatriotic to remove them. The papal flag commonly took up a position next to the national flag. It carries the pope's coat of arms, a triple tiara and crossed keys, symbolizing his ministry as ruler and successor to Peter, the apostle to whom Jesus entrusted the keys to the kingdom of heaven. The two flags often adorned a church's sanctuary. However, since the Second Vatican Council's appeal for simplicity in the liturgy, the sanctuary has become more reserved for those features necessary for the celebration of Mass. The removal of flags from the sanctuary does not promote disloyalty to church or state, but may assist the prayer of those gathered for the Eucharist by keeping their attention fixed on its central symbols: altar, ambo and chair, bread and wine. Note: At St. Francis, the national and papal flags are in the Narthex on either side of the St. Francis of Assisi stained glass window. “Fear no one,” Jesus says to the Twelve, as he sends them out “to the lost sheep of the house of Israel” (Matthew 10:26, 6). This Gospel comes from the middle of his second great speech in Matthew’s Gospel (Matthew 9:36—10:42), called the missionary discourse. Jesus is instructing the Twelve on what to do on their mission. Since we are all called to be evangelizers (“proclaimers”) and witnesses to the gospel, these words have meaning for us. “Do not be afraid” is often heard in the Gospels. Even though they are sent to their own people here, there is no reason to be afraid, as the prophet Jeremiah also realized in his day, as his friends turned against him for preaching God’s word to them. Jesus saw that his followers would suffer, just as he was going to do. So he encourages his followers not to let fear control them. 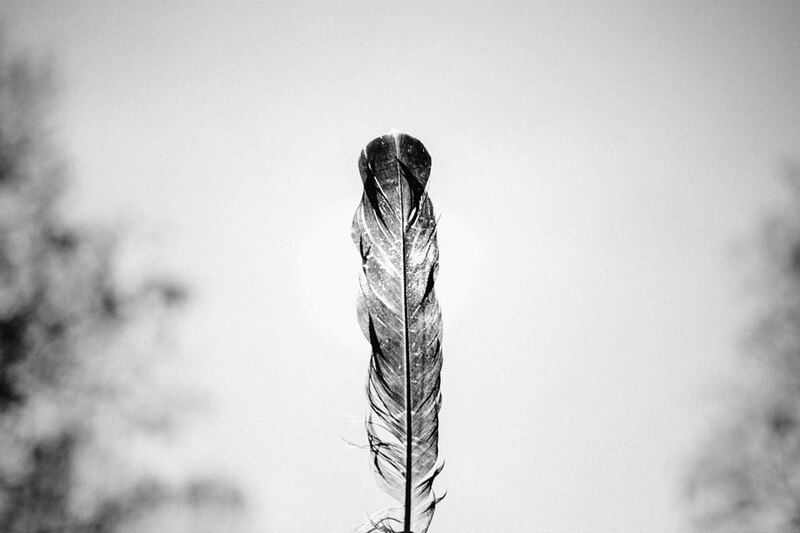 The God who watches over sparrows, who knows the number of hairs on our heads, will watch over us. God sent Jesus to save us, and Jesus promises that if we acknowledge him before others, he will acknowledge us before the Father. When have you let fear silence you as a believer? Adult: When has your faith in Jesus been most seriously tested? Child: What could you do to encourage someone who is feeling hurt? This Sunday we celebrate our intimate communication with Christ and with all the members of the Body of Christ in the Eucharist. Just as Baptism brings us into sharing the life of the Trinity, celebrated last Sunday, so the Eucharist brings us into a most intimate sharing in the mystery of Christ’s saving death and resurrection. In the Gospel of John, Jesus declares that he himself is the bread come down from heaven, and that the one who eats his flesh and drinks his blood has eternal life even now and will live forever (cf. John 6:51, 54). 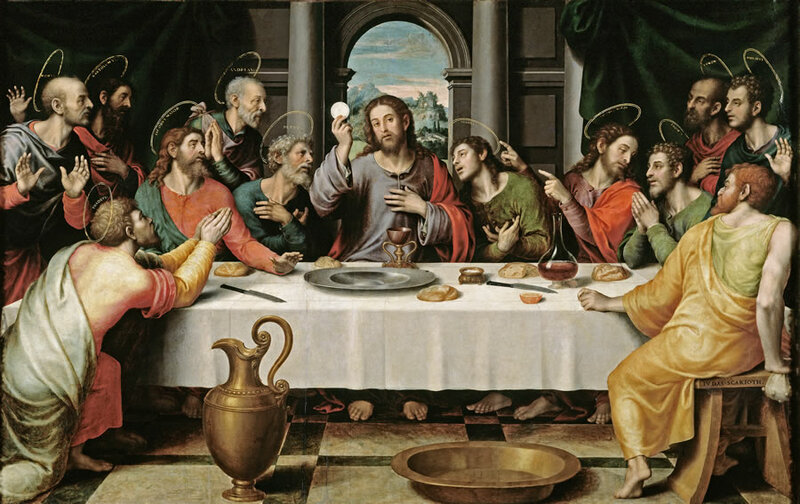 Paul underlines the Eucharist as a meal that allows us to participate in the body and blood of the Lord and that signals our unity with each other, holding up the one loaf of bread as a sign of many becoming one. This sacrament empowers us to give ourselves in service to the world. We are fed by both the word of God, as Moses reminds the people about to enter the Promised Land, and by the sacrament of the Eucharist. How has the Eucharist been a source of nourishment for you, both as an individual and as a member of the body of Christ? 06-18-2017Liturgy CornerFr. Paul Turner © 2001 Resource Publications, Inc. Bread and wine become the Body and Blood of Christ during the Eucharistic prayer at Mass. 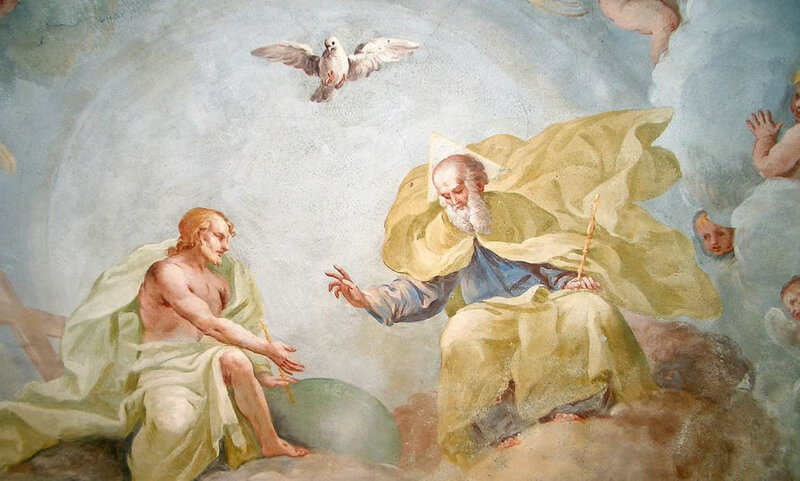 The Holy Spirit works this miracle in the presence of the faithful, who join the priest in silence and song. Belief in the real presence of Christ in the Eucharist in central to Catholic faith. In the past some have doubted this belief, but the church has always responded with unwavering conviction, founded on the Bible. “This is my body. This is my blood” (Mt 26: 26,28). “The bread that I will give is my flesh for the life of the world” (Jn 6:51). “My flesh is true food and my blood is true drink” (Jn 6:55). The word “bread” in these Scriptures does not diminish our faith that the bread is the Body of Christ. The liturgy also used “bread and cup” to refer to the Body and Blood of Christ. The “Lamb of God” accompanies a ritual the missal calls “the breaking of the bread.” Some of our hymns also refer to bread and wine, but in the context of the Mass the meaning remains true to Catholic teaching. What we eat and drink is the Body and Blood of Christ. Adult: What does it mean for you right now to be bread for others as Jesus was? Child: In what ways can Jesus' presence in the Eucharist help you do good things for others? 06-11-2017Liturgy CornerFr. Paul Turner © 2001 Resource Publications, Inc. The introductory rites help the assembly become a worshiping community. They also prepare us to hear God's word and celebrate the Eucharist. There are several elements to the introductory rites of Mass. The cantor or another minister may introduce the liturgy. We sing the entrance song and make the sign of the cross. The presider greets us. The penitential rite or rite of blessing and sprinkling holy water follow. We sing the Glory to God. Finally, the presider offers the opening prayer. A lot happens in just a few minutes. Adult: We live within the Trinity whenever we live in love. How does this mystery connect to your daily life? Child: How do you choose to live as a more loving person? How is God leading you to knowing and living this mystery? Adult: What important work does Jesus ask of you at this time in your life? Child: How would Jesus want you to treat your friends and family this week? 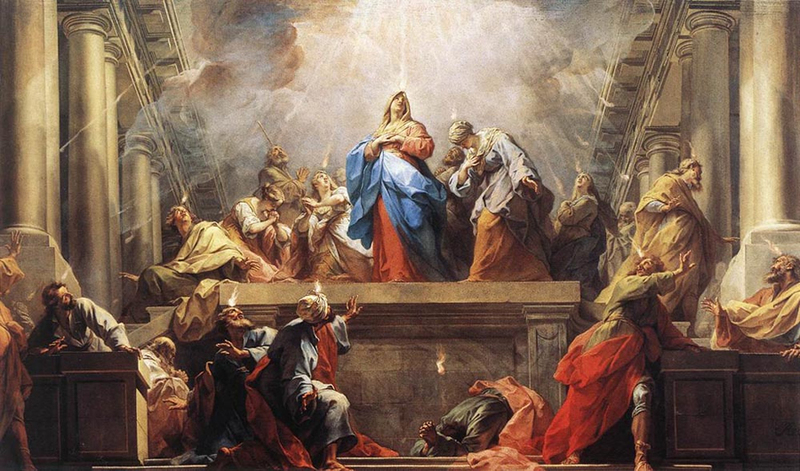 Pope Francis has said that Pentecost brought three things to the community waiting for it: newness, harmony, and mission. Of course, something new first happened with the coming of Christ: God became human. Then, something new happened on Easter: Jesus who had been crucified and buried, did not remain dead. God raised him. Then again, for the third time, something happened. The Holy Spirit came, bringing a breath of fresh air that blew them out of the house, transforming them harmoniously into the body of Christ, and inflaming them to preach Jesus as Lord, the Son of God. The important role of the Spirit is summed up in Paul's words, "No none can say, 'Jesus is Lord,' except by the Holy Spirit...For in one Spirit we were all baptized into one body...and we were all given to drink of one Spirit" (1 Corinthians 12:3b, 13). This Spirit brings us peace and joy, along with the mission of bringing God's forgiveness to all who would receive it. Pray today's Sequence. 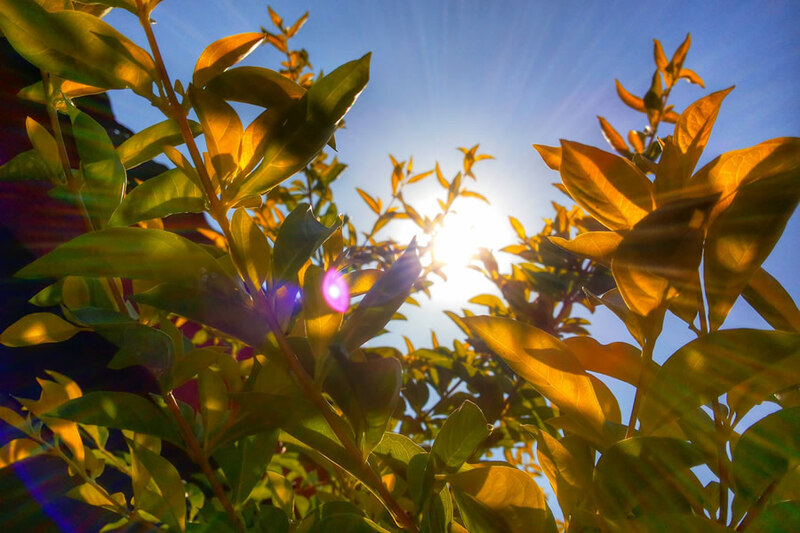 Which of the Spirit's many gifts do you need most at this time: light, comfort, refreshment, rest, coolness, healing , strength, warmth, guidance, joy?